This is a die-cut Freedom Perfect Motor Oil porcelain sign. This particular Freedom Perfect Motor Oil sign is shaped and colored like a Freedom Perfect Motor Oil can. 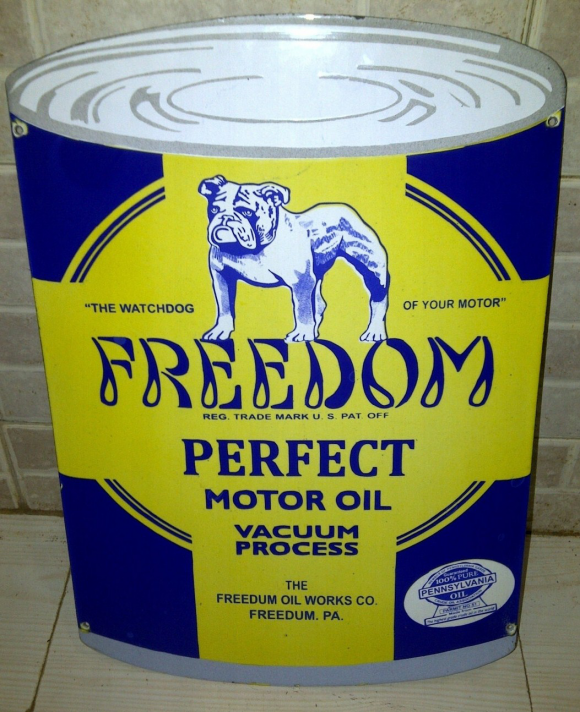 It reads, “Freedom Perfect Motor Oil, The Watchdog of Your Motor, Vacuum Process, The Freedom Oil Works Co., Freedom, PA.” and features a blue bulldog at the top.